The Law Offices of Malek & Malek have been serving Columbus, Ohio, and the surrounding communities since 1972. Attorney Ed Malek founded the Malek Law Firm as a general litigation practice, providing legal representation in a variety of areas. In 1995, his eldest son, James Malek, joined the practice, and the firm narrowed its focus, concentrating exclusively on protecting the rights of accident victims, injured parties and their families. The firm has grown since its early days. Founding Attorney Ed Malek now practices in good company with three of his sons, James, Doug & Kip Malek, all licensed attorneys. The Malek & Malek family firm now has five practicing attorneys who work tirelessly in developing long-lasting relationships with employees and families of Columbus, Ohio. Combined, these five attorneys bring over sixty years of experience to the court room. Workers' compensation claims, job-related injuries, and occupational diseases; Job safety issues, including violations of specific safety requirements; Auto accidents, including truck collisions, rollovers, and motorcycle accidents; Premises liability, including slip and fall and dog bite injuries; Medical malpractice; Product liability claims; Disability claims, including PERS/SERS; and Other personal injuries Contact the law offices of Malek & Malek today to speak with one of our attorneys, and come to know the difference that sets our firm apart. ATTORNEYS FIGHTING FOR CLIENTS COMPENSATION At Malek & Malek, our lawyers work with clients to ensure the personal legal representation and closure that clients deserve following catastrophic and fatal injuries. Our attorneys understand the pain and stress personal injuries cause. At Malek & Malek, we combine friendly, compassionate legal representation with the knowledge, skill and determination to achieve a successful recovery for our clients. 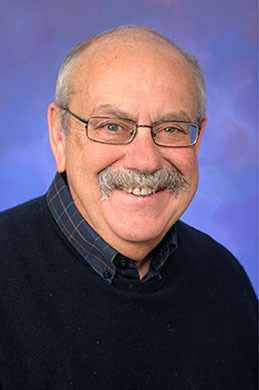 Attorney Ed Malek graduated from Capital University Law School in 1969. While attending law school in the evening, he was employed full time during the day and was also actively involved in the United States Army Reserves. Mr. Malek was admitted to the Ohio State Bar Association and commenced employment with the Franklin County Probate Court. He then became an assistant prosecutor for the Franklin County Municipal Court. Mr. Malek has proudly completed his military responsibilities for his country. In 1971, Mr. Malek entered into private practice and opened his own law firm in Columbus, Ohio. The Law Firm of Malek & Malek emphasizes representation of those people tragically injured in workers' compensation accidents, automobile collisions and other serious injury events. For nearly 40 years, he has provided expert legal services to the community, representing many fine people and citizens of greater Columbus and surrounding counties. Mr. Malek is blessed to have eight children and a wonderful wife of 47 years. He is proud to be working closely with three of his sons, James, Doug, and Kip Malek, who are licensed attorneys at the firm.